Choosing the right gift for large amount might be tricky, especially when you choose from big and well known company. You must know that choosing the right gift will give a big impact to your company and same goes to accidently giving “bad gifts”. 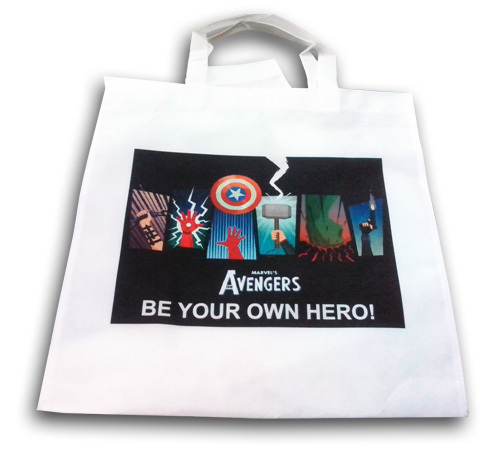 Non-woven bags with company logo or promotional message is a great idea for your promotional gifts. Before ordering a large number, you probably should make several samples to choose the best design. Cause sometimes, design might look nicer on the product compare to when you looks on a personal computer or printed paper. 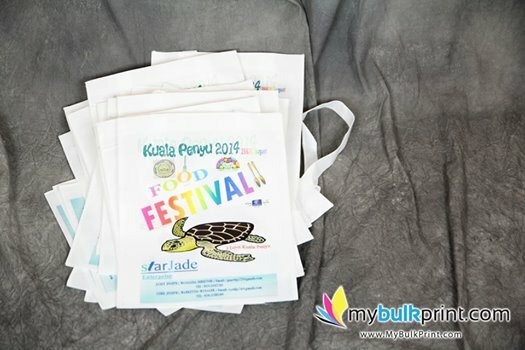 If you think non-woven bags are not creative enough to represent your company, think again! Non-woven bag is a favorite item for shopper who loves to save the planet because this bag is substitute to the plastic bags. Non-woven bags are also teenagers favorite. This is because the price is economical and it long lasting. However, if you are targeting this group of people, you must make sure the design is up to date and suitable for their age. Custom is making non-woven bags with MyBulkPrint.com today! You can choose either Silkscreen or Full Color Heat Transfer (1-Sided / 2-Sided). Click here to get full quotations for bulk order!